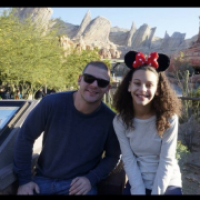 #globalite Joselyn is a middle schooler who is volunteering for Globalizm as fundraising manager. She’s putting fun back into fundraising with this fun idea! 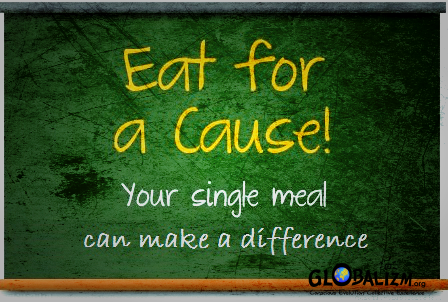 Eat for a cause is a fundraiser that raises money for charities in a short period of time. The plan is to have a restaurant sponsor the charity, some of the profits can go to the charity. I got this idea because one of my local restaurant had hosted an event due to one of teacher from the middle school dying of cancer. They raised a bunch of money for research..and I thought why can’t we use these tactics for other events. I have filled out an “Eat for a Cause” at Veggie Grill. It’s an honor to be a part of the fundraising process. It has been great to see how to fundraising events work outside of schools. So far, I’m still waiting on approval from the Veggie Grill..fingers crossed we can hold the fundraiser! I'm Joselyn Harris and dance has been my center in life. I have been dancing for 7 years now, I started my first volunteer program teaching children how to dance that couldn't afford classes. I loved the feeling of helping people so what I did was, volunteer for completely different things. Such as, feeding homeless people, taking care of senior citizens, and working with children who have disabilities. Actually during one of my volunteer programs, I saw my friend, Chaya, she stopped being my friend because I worked with children with disabilities…however a years later she was diagnosed with dyslexia. I started working with her and she finally understood why I volunteered so much. To this day I still help her with her work and many more students.